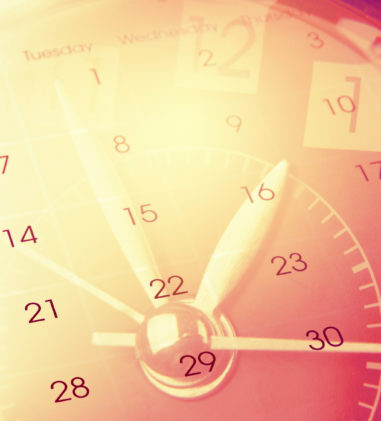 This was the week for decisions in cases involving breach of fiduciary duty claims. The most notable one is the Third Circuit’s decision in Sec’y United States Dep’t of Labor v. Kwasny, No. 16-1872, __F.3d__, 2017 WL 1244852 (3d Cir. Apr. 5, 2017). 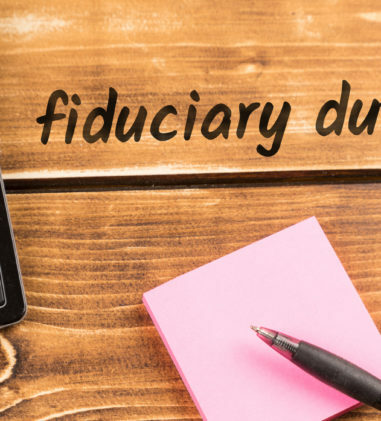 The Third Circuit determined that the managing partner of a now-dissolved law firm, who was trustee and fiduciary of firm’s 401(k) profit-sharing plan, violated his fiduciary duty by directing employee contributions into the firm’s general assets instead of the plan. As matter of first impression, the Third Circuit held that the Secretary is not bound by the results reached by private litigation, for purposes of claim preclusion. This is because the Secretary’s interest in maintaining the integrity of, and public confidence in, the pension system is broader than the interests of private litigants. But, remand was warranted for the district court to consider whether the Secretary’s judgment should be offset by the judgment obtained by the former employee. On the issue of timeliness of the action, the court held that the Secretary’s claim for breach of fiduciary duty accrued when the Department of Labor received an employee complaint in 2011 that included substantiating evidence and sufficiently identified the plan to allow it to be referred for enforcement. 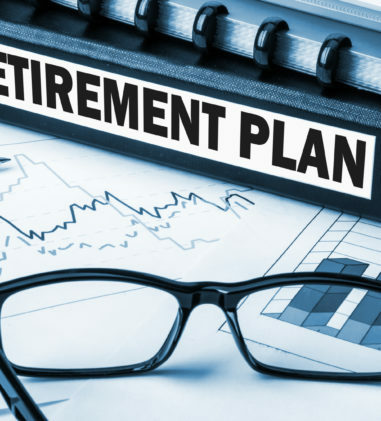 Even though the DOL received complaint calls in 2006 and 2010, the callers did not submit any evidence to substantiate their claims or identify the plan at issue. Brotherston v. Putnam Investments, LLC, No. CV 15-13825-WGY, 2017 WL 1196648 (D. Mass. Mar. 30, 2017) (Judge William G. Young). The court entered judgment for Defendants on Plaintiffs’ prohibited transaction claims. The court determined that First Circuit law precludes Plaintiffs’ argument that the management fees paid from the mutual fund reduce the value of the mutual fund shares owned by the Plan (which are plan assets). Because the court found that the management fees are not paid out of plan assets, it determined that Plaintiffs’ prohibited transaction claim fails as matter of law under Section 1106(a)(1)(D) and (b)(1). Section 1108’s safe harbor does not apply to Section 1106(b) prohibited transactions. Carver v. Bank of N.Y. Mellon, No. 15-CV-10180 (JPO), 2017 WL 1208598 (S.D.N.Y. Mar. 31, 2017) (Judge J. Paul Oetken). In this lawsuit alleging that BNYM breached its fiduciary duty to ERISA plans that held American Depositary Receipts (“ADRs”) for which BNYM served as depositary, the court concluded that the Participant Plaintiffs have constitutional standing sufficient to maintain the present action in a derivative or representative capacity on behalf of the Plans; the Plans hold a beneficial ownership interest in the underlying Deposited Securities held by BNYM, such that those Deposited Securities are properly considered assets of the Plans; whether the transactions in question were “blind transactions” within the meaning of the DOL’s interpretative opinions or whether BNYM knew or should have known that it was transacting with ERISA plans cannot be determined at this stage; Plaintiffs’ claims are not time-barred; and the remedy sought by Plaintiffs is equitable in nature so the jury trial demand is stricken. Hugler v. First Bankers Trust Servs., Inc., No. 12 CV 8649 (VB), 2017 WL 1194692 (S.D.N.Y. Mar. 30, 2017) (Judge Vincent L. Briccetti). This lawsuit alleges breach of fiduciary duties and a prohibited transaction claim with respect to an ESOP. The court concluded that the Secretary’s claims are timely and that no public policy would be offended by permitting a private party like First Bankers to contract out of ERISA’s statute of repose with a particular litigant. The court denied both motions for summary judgment because whether the discount rate Empire applied in its valuation was reasonable is a disputed question of fact, as is whether First Bankers’s reliance on Empire’s calculations satisfied its fiduciary duties. First Bankers is also not entitled to summary judgment on its economic loss argument because the court is unable to determine the fair market value of the shares the Rembar ESOP acquired pursuant to the 2005 transaction; and First Bankers has failed to establish, as a matter of law, that the $15.5 million price paid in 2005 should be adjusted downward based on subsequent events. Sec’y United States Dep’t of Labor v. Kwasny, No. 16-1872, __F.3d__, 2017 WL 1244852 (3d Cir. Apr. 5, 2017) (Before: McKEE and RESTREPO, Circuit Judges; HORNAK, District Judge). The Secretary of Labor alleged that the managing partner of now-dissolved law firm Kwasny & Reilly, P.C., who was trustee and fiduciary of firm’s 401(k) profit-sharing plan, violated his fiduciary duty by directing employee contributions into the firm’s general assets instead of the plan. The court held that the partner breached his fiduciary duties under ERISA; the Secretary’s claim for breach of fiduciary duty accrued when the Department of Labor received an employee complaint with substantiating evidence; as matter of first impression, the Secretary is not bound by the results reached by private litigation, for purposes of claim preclusion; and remand was warranted for the district court to consider whether the Secretary’s judgment should be offset by the judgment obtained by the former employee. Fonti v. Health Professionals & Allied Employees, No. CV134231ESJAD, 2017 WL 1197759 (D.N.J. Mar. 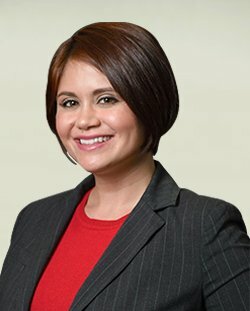 31, 2017) (Judge Esther Salas). In this lawsuit alleging that Defendants made material misstatements or omissions about a retirement healthcare benefits plan, the court determined that the allegation that Twomey devised the concept of the retirement plan is not enough, on its own, to raise a genuine issue of material fact as to whether Twomey had fiduciary duties under ERISA. Similarly the Union’s effort to explain the terms of the proposed plan is insufficient to trigger ERISA fiduciary duties. Lynn v. Peabody Energy Corporation, et al., No. 4:15CV00916 AGF, 2017 WL 1196473 (E.D. Mo. Mar. 30, 2017) (Judge Audrey G. Fleissig). The court granted Defendants’ motion to dismiss Plaintiffs’ claim that Defendants breached their duty of prudence under ERISA by retaining and continuing to purchase Peabody stock from December 14, 2012, onwards, in light of public information that established that such conduct was not reasonable. Further, Plaintiffs do not allege, for each proposed alternative, that a prudent fiduciary could not have concluded that the alternative would do more harm than good, nor do they offer facts that would support such an allegation. Lash v. Reliance Standard Life Ins. Co., No. CV 16-235, 2017 WL 1232177 (E.D. Pa. Apr. 4, 2017) (Judge John R. Padova). Matrix is not a proper Defendant to the claim for benefits asserted under § 1132(a)(1)(B). Although Reliance made the final decision to deny Plaintiff’s claim for long-term disability benefits, the complaint does not plausibly allege that Matrix exercised the requisite control over the administration of benefits to support a claim against Matrix pursuant to § 1132(a)(1)(B). The § 1132(a)(3) claim also fails because the complaint doesn’t sufficiently allege that Matrix is a fiduciary of the Plan. The court rejected Reliance’s argument that Plaintiff cannot assert claims under both § 1132(a)(1)(B) and § 1132(a)(3). The court denied Defendants’ request for attorneys’ fees after considering the Ursic factors. Moncak v. Liberty Life Assurance Co. of Boston, No. 3:15-CV-01998, 2017 WL 1196514 (M.D. Pa. Mar. 31, 2017) (Judge Joseph F. Saporito, Jr.). The court granted summary judgment to Liberty Life. It determined that Dr. Bomar’s purported bias or conflict due to payment for his consulting services should be given no weight in evaluating whether Liberty abused its discretion in its denial of disability benefits under the Policy’s “any occupation” period of coverage. Additionally, it was reasonable for Liberty to credit the conflicting opinion of Dr. Bomar over the treating doctors’ opinions and to rely on a vocational report that referenced only Dr. Bomar’s lifting recommendations since the treating doctors declined to specify any particular limitations in any of their medical reports. Morgan v. Hartford Life & Accident Ins. Co., No. C16-5183 BHS, 2017 WL 1244022 (W.D. Wash. Apr. 5, 2017) (Judge Benjamin H. Settle). In this dispute over the payment of long term disability benefits, where Plaintiff alleged disability from Growth Hormone Deficiency, the court concluded that Plaintiff has sufficiently proven that she suffered from “a diagnosed condition which manifests itself primarily with self-reported symptoms” at the time Hartford denied her LTD benefits. Plaintiff’s diagnosis was made using standard methodologies and she suffered from substantial and well documented fatigue commonly associated with her diagnosed sickness. Further, although the extent of her illness manifested itself primarily through self-reported symptoms, its existence was nonetheless supported by diagnostic tests showing her low IGF-1 Z score. Smith v. Reliance Standard Life Insurance Company, No. 16-15319, __F.App’x__, 2017 WL 1229741 (9th Cir. Apr. 4, 2017) (TALLMAN and WATFORD, Circuit Judges, and GUIROLA, Chief District Judge). The court vacated the district court’s order affirming the denial of Plaintiff’s request for short-term disability benefits because it did not apply abuse of discretion standard of review that takes into account the fact that Reliance was responsible both for paying benefits and for administering the claims review process. On remand, the district court should take into account the likelihood that the structural conflict of interest affected Reliance’s decision to deny Smith’s request for short-term disability benefits, any record of Reliance’s self-dealing, and the fact that Reliance relied on a paper review of Smith’s medical records rather than an in-person medical evaluation. 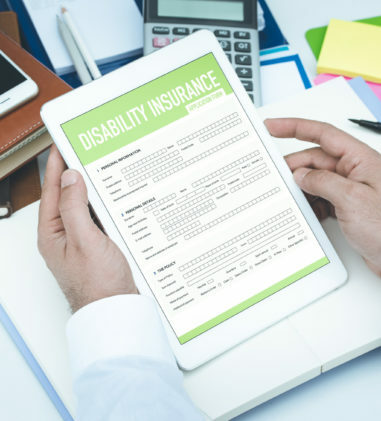 The court also vacated the award of Plaintiff’s long term disability benefits (and attorneys’ fees), which the district court awarded due to Reliance’s failure to issue a denial of the claim within the 90-day limit imposed by ERISA. 29 C.F.R. § 2650.503-1(f)(1). The district court committed clear error by failing to determine whether Reliance’s procedural violation caused Plaintiff substantive harm. Hugler v. Bat Masonry Co., Inc., No. 6:15-CV-28, 2017 WL 1207847 (W.D. Va. Mar. 31, 2017) (Magistrate Judge Robert S. Ballou). 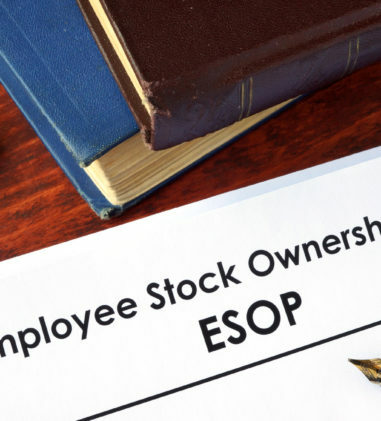 In this lawsuit, the DOL seeks to hold Defendants liable for their purported breaches of fiduciary duties under a failed ESOP. Defendants moved to compel documents withheld on the basis of privilege. The court granted in part and denied in part the motion. It found that the procedural requirements for asserting the deliberative process privilege are met but the law enforcement privilege does not shield all of the documents from discovery. Cohen v. Horizon Blue Cross Blue Shield Of New Jersey, No. 15CV4528KSHCLW, 2017 WL 1206005 (D.N.J. Mar. 31, 2017) (Judge Katharine S. Hayden). In this lawsuit seeking to recover benefits allegedly due for emergency medical services rendered to patient JE by Jason Cohen, a shareholder of Professional Orthopaedic Associates, PA (“POA”), the court denied Plaintiff’s motion to remand since Plaintiffs’ claims, alleging violation of violations of N.J.A.C. 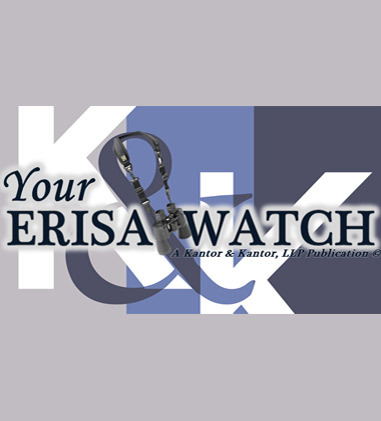 11:24-5.3 (“Emergency and urgent care services”) and the New Jersey Healthcare Information and Technologies Act (“HINT”), are preempted by ERISA. Houston Metro And Spine Surgery Center, LLC v. Health Care Service Corporation, D/B/A Bluecross Blueshield Of Illinois, et al., No. CV H-16-1402, 2017 WL 1231072 (S.D. Tex. Apr. 4, 2017) and Grand Parkway Surgery Center, LLC v. Health Care Service Corporation, A Mutual Legal Reserve Company D/B/A Bluecross Blueshield Of Illinois, et al., No. CV H-16-549, 2017 WL 1231026 (S.D. Tex. Apr. 4, 2017) (Judge Lee H. Rosenthal). 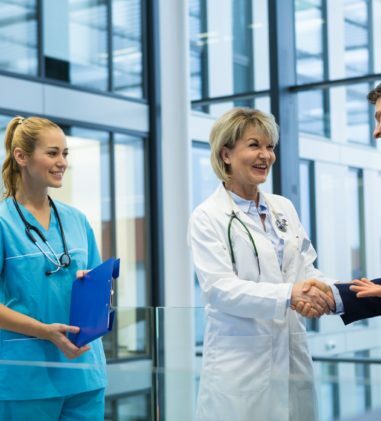 Where a health-care provider’s promissory-estoppel claim depends on and derives from the rights of the plan participants and beneficiaries to recover benefits under an ERISA plan’s terms, the claim is preempted. Howard v. Prudential Ins. Co. of Am., No. 3:16-CV-00752-CRS, 2017 WL 1199759 (W.D. Ky. Mar. 30, 2017) (Judge Charles R. Simpson). In this lawsuit seeking accidental loss benefits, the court granted Prudential’s motion to dismiss Plaintiff’s request for a jury trial and an award of exemplary, compensatory, and punitive damages since Plaintiff’s recovery is limited to benefits allegedly due under the insurance policy, and, depending on the proof that develops, Plaintiff may seek to recover attorneys’ fees under § 1132(g). Montefiore Med. Ctr. v. Local 272 Welfare Fund, No. 14-CV-10229 (RA), 2017 WL 1194704 (S.D.N.Y. Mar. 31, 2017) (Judge Ronnie Abrams). The court adopted the magistrate judge’s report and recommendation in favor of Montefiore in this lawsuit alleging that the Fund violated ERISA by reimbursing Montefiore for hospital services it provided to the Fund’s members and their dependents at substantially lower rates than what the Summary Plan Description requires. Wilson v. Blue Cross & Blue Shield of Texas, No. 4:16-CV-0436, 2017 WL 1215430 (S.D. Tex. Mar. 31, 2017). BCBS denied Wilson’s claim because BCBS determined that the procedure was for reduction of obesity or weight loss, and was not medically necessary to address Wilson’s gastroesophageal reflux disease, or GERD. The court agreed with BCBS that its conclusions are supported by substantial evidence in the administrative record. In re Carla M. Lawson, Debtor. Harold A. Corzin, Tr., Plaintiff, v. Carla M. Lawson, et al., No. 15-50618, 2017 WL 1207521 (Bankr. N.D. Ohio Mar. 31, 2017) (Bankruptcy Judge Alan M. Koschik). The court determined that it is not legally permissible for a panel trustee of a bankruptcy estate to obtain a QDRO under ERISA and related provisions of the Tax Code, in lieu of the divorcing debtor spouse, to effect an assignment of benefits in a 403(b) plan account owned by the debtor’s non-filing ex-spouse to the debtor’s bankruptcy estate administered by the trustee. Vespa v. Singler-Ernster Inc., No. 16-CV-03723-RS, 2017 WL 1246863 (N.D. Cal. Apr. 5, 2017) (Judge Richard Seeborg). In this lawsuit alleging imprudent management decisions which destroyed the value of the Company and the value of the putative class’s interest in the ESOP, the court denied Defendants’ motion to dismiss the First Amended Complaint. Plaintiff’s amended complaint liberally invokes Rule 11(b) of the Federal Rules of Civil Procedure such that the vast majority of the critical factual allegations are presented with a claim that Plaintiff in good faith believes further investigation and discovery will lead to supporting evidence. Because the allegations comply with Rule 11, Plaintiff has adequately shown factual issues not suitable for disposition at the pleading stage. Paige v. Pellerin Milnor Corp., No. CV 16-17785, 2017 WL 1251203 (E.D. La. Apr. 5, 2017) (Magistrate Judge Joseph C. Wilkinson, Jr.). In this matter where Plaintiff alleges that Defendant’s “unlawful and discriminatory conduct was…intended to injure the Plaintiff and done with deliberate indifference to his… rights” under ERISA, the court denied Defendant’s motion to dismiss Plaintiff’s ERISA Section 510 claim since the facts alleged by Paige are sufficient to create a plausible claim that Defendant intended to violate ERISA when it fired him. The court rejected Defendant’s argument that ERISA does not permit the recovery of monetary damages, citing to CIGNA Corp. v. Amara, 563 U.S. 421, 438 (2011). Luther v. Navistar, Inc., No. 15 C 3120, 2017 WL 1197103 (N.D. Ill. Mar. 31, 2017) (Judge Rebecca R. Pallmeyer). Luther contends that he is entitled to substantially enhanced benefits under Navistar’s Executive Severance Agreement and Supplemental Executive Retirement Plan because he was terminated or retired after a change in control of the company. The court denied summary judgment to Navistar (except for Count II) because there are disputes of material fact about whether such a change in control occurred. Hartquist v. Emerson Electric Co., et al., No. 1:11CV1067, 2017 WL 1194226 (M.D.N.C. Mar. 30, 2017) (Magistrate Judge Joi Elizabeth Peake). Plaintiff alleges a disability onset date of December 9, 2003. His “elimination period” under the Plan ran from December 9, 2003 to March 8, 2004, and the Plan required Plaintiff to provide UNUM with written proof of his claim by June 7, 2004. The Plan allowed Plaintiff, at the very latest, to submit the required proof of claim by June 7, 2005 (one year after the time proof is otherwise required). However, Plaintiff first applied for benefits under the Plan on June 22, 2011, more than six years after the latest conceivable date the Plan would have allowed him to submit proof of his claim, and thus, the determination by UNUM that Plaintiff’s claim was untimely was correct, whether under a de novo review or an abuse of discretion review. Sulyma v. Intel Corp. Inv. Policy Comm., No. 15-CV-04977 NC, 2017 WL 1217185 (N.D. Cal. Mar. 31, 2017) (Magistrate Judge Nathanael M. Cousins). 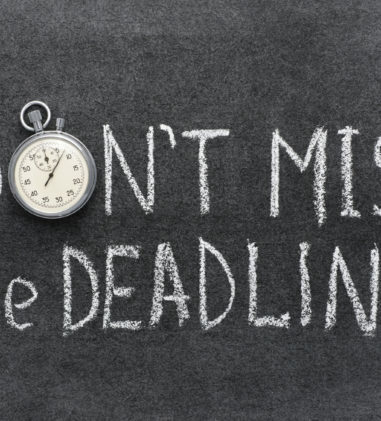 The court determined that Plaintiff had actual knowledge of the underlying facts constituting his imprudent investment claim within 3 years of filing his lawsuit so his claims are time-barred. Without live primary claims, the court also granted summary judgment on Plaintiff’s derivative duty to monitor and co-fiduciary liability claims. Perkins v. US Airways, Inc., No. 6:14-CV-2577-BHH, 2017 WL 1196805 (D.S.C. Mar. 31, 2017) (Judge Bruce Howe Hendricks). The court determined that US Airways’ failure(s) to provide repeat copies of the same Plan documents within thirty days was(were) not a § 502(c)(1) violation(s), and that US Airways is entitled to judgment as a matter of law. Even if Plaintiff could demonstrate a genuine issue of material fact regarding US Airways’ alleged failure to meet its obligation to provide Plan documents, the court determined that no monetary penalty should be imposed. Cont’l Insurance Co. v. Dawson, No. 3:13-CV-04150-M, 2017 WL 1196857 (N.D. Tex. Mar. 31, 2017) (Judge Barbara M.G. Lynn). In this lawsuit where Continental obtained an assignment from Aetna for a participant’s overseas medical expenses and sued the participant for payment, the participant asserted two affirmative defenses: first, that under a Colorado statute, C.R.S. § 10-1-135, the lien must be offset or reduced, and second, that the lien must be offset or negated because of either Continental’s breach of fiduciary duty or its aiding and abetting Aetna’s breach of fiduciary duty under 29 U.S.C. § 1132(a)(3). The court found that the Colorado statute is completely preempted by ERISA, but even if not, the participant cannot negate the lien. 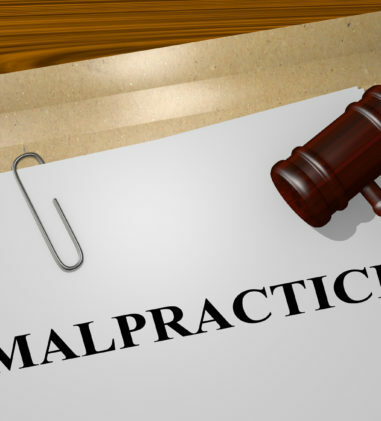 With respect to the breach of fiduciary duty claim, the court found that as a matter of law the alleged misrepresentation by Aetna was not material and the participant did not detrimentally rely on it. 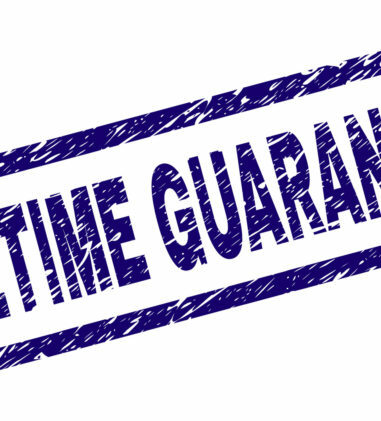 Further Continental did not breach any fiduciary duty by pursuing a first-money lien that it was legally entitled to pursue.